Great residence or investment opportunity! Building built in 2004! Amazing Views! This is not a Coop it is a Condop, similar to a Condo. You can rent from day one, and rent it for as long as you want. This unit can rent for around $3200 to $3300 a month with a great cap rate. You will not find a Condo like this in the neighborhood in this price range! 50% tax deductible from monthly maintenance! Ever fantasized about living in a unit with unobstructed views of one of New York Citys most-loved buildings? 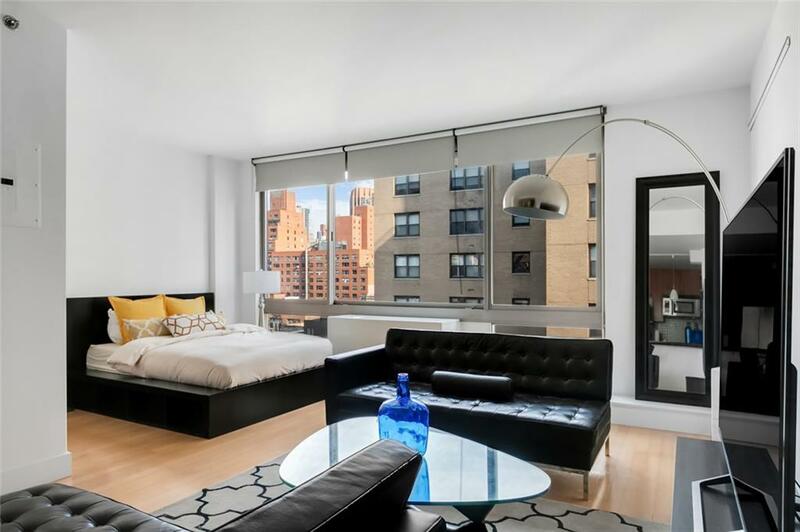 Turn your dreams into reality by situating yourself in this completely rare unit with perfect views of the Empire State building from both the bedroom and living room. 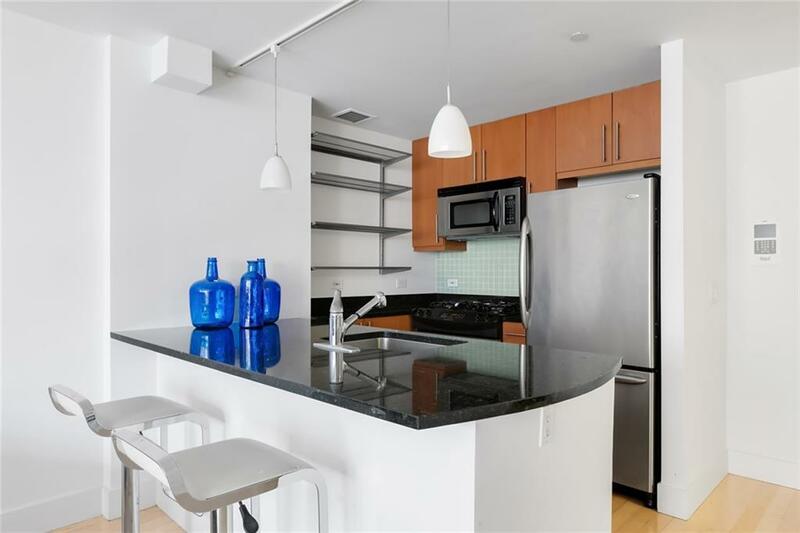 This impressive studio alcove features a thoughtfully designed open layout kitchen with stainless steel appliances and granite countertops that allows you the luxury of being able to prepare food while entertaining guests at the same time. The layout of the unit is versatile - you can keep the room light and airy by keeping the alcove area open, or separate the area with a wall or a sliding door for additional privacy. The living room has enough space for an oversized couch, coffee table, home office and much more. 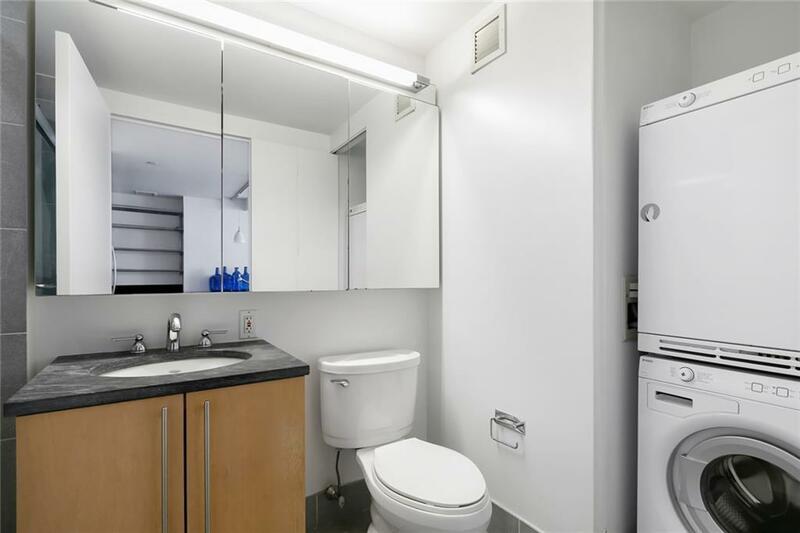 Featuring two California closets, with one being a walk-in, this units features are perfect even for the most ambitious New Yorker. The building offers great amenities, including a part-time doorman, a 360 degree view of the city from the roof deck, state of the art gym, as well as a laundry room, bike racks, and additional storage. 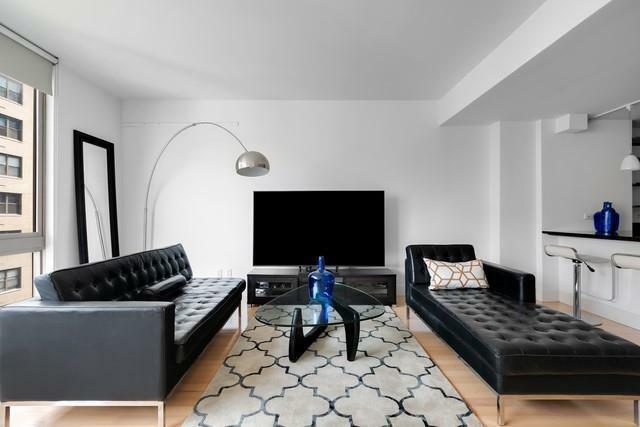 Comfortably blending contemporary conveniences with quirky allure, this apartment building sits in the heart of Kips Bay, home to an abundance of unpretentious retail stores and long established businesses alike. If you love the accessibility to the city but still crave cozy, off-the-wall scenery, Kips Bay is perfect for you. In regards to transportation, the 6, N, R, W, and L trains are all easily accessible. If interested in viewing property, please reach out to us for a private showing.